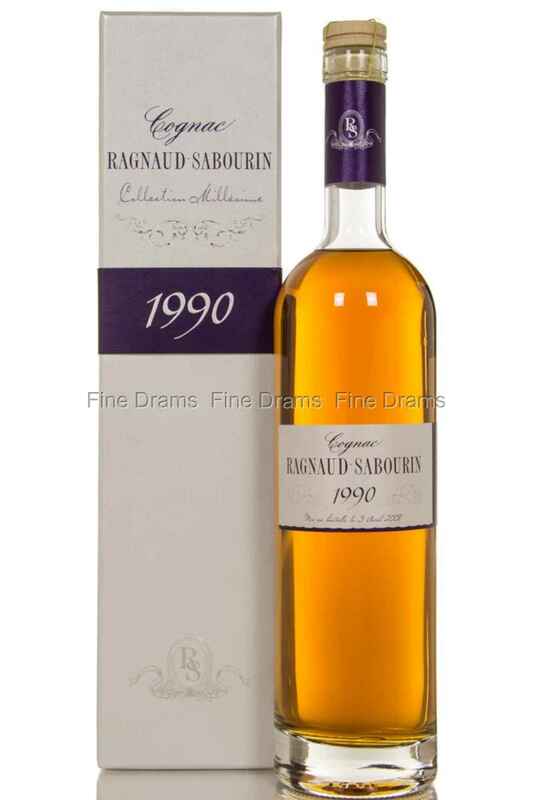 Another classic vintage Cognac from Ragnaud Sabourin. Ragnaud Sabourin have been in the Cognac-making business since 1850, and are one of few distilleries in the region to remain totally family owned. They have an enviable reputation for producing some of the best Cognac around, and are known for only using grapes grown in the premier cru of Grande Champagne – widely considered the finest of all the region’s crus. These vintage cognacs are usually only produced for the very best harvests, and indeed, are the product of just one year’s harvest and distillation. The nose is earthy and rich, with wonderful aromas of oily grape, dense oak and sweet wine. The palate is slightly tannic and bittersweet with fruits coming to the fore later, ending with a rich, peppery spice and a little nutmeg sweetness. The finish gives a drying oak note, with the same earthy quality found in the nose, it seems terroir very much influenced the flavours of this Cognac. Bottled at 41% ABV, the spirit is presented in a charming understated bottle. Ragnaud Sabourin continue to surpass their own high standards with their vintage range.